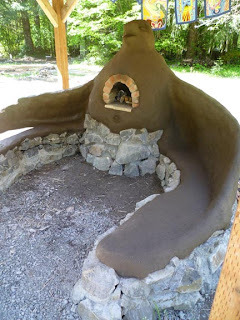 Welcome to Aprovecho! 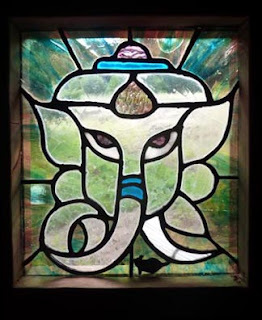 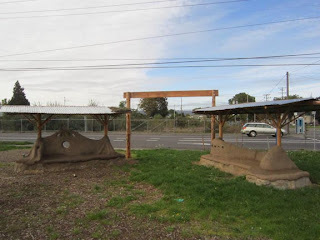 This year is the first of an annual offering called the Sustainable Shelter Series. 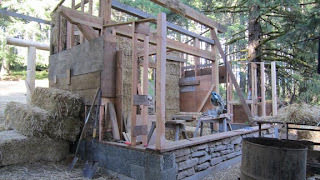 It's an amazing overview of natural construction techniques at a very beautiful place near Cottage Grove, Oregon. 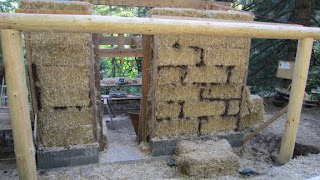 I'm here teaching the week-long insulation section of the series. 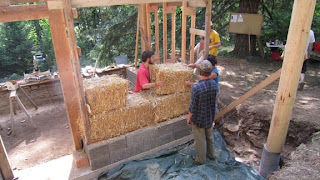 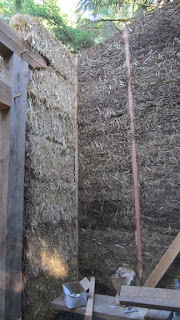 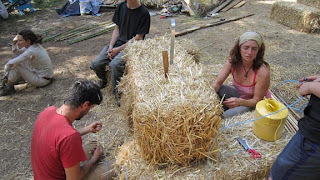 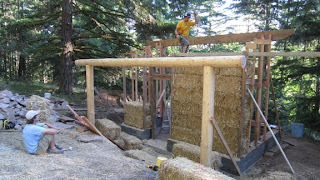 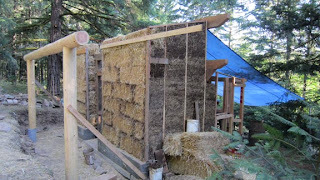 This first picture is of the structure as I arrive to it, a beautiful hybrid timberframe ready for strawbales on the northwall, light clay straw on the east and west and chip-slip infill on the south. 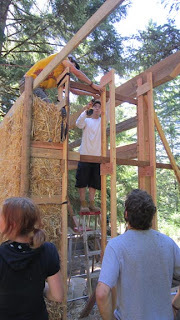 Talk about a lot going on in a little playhouse! 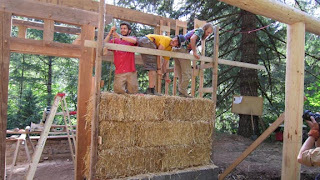 Bales make great scaffolding too! 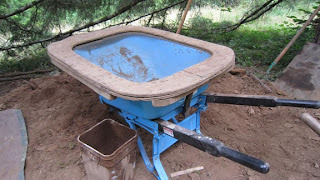 this is a great screen system for a wheelbarrow, I want one of my own! 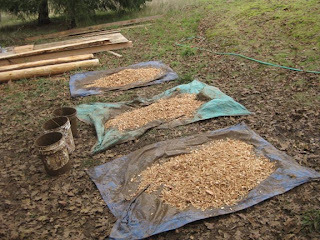 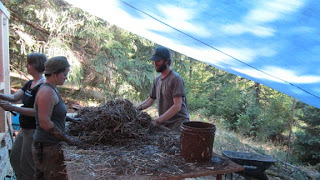 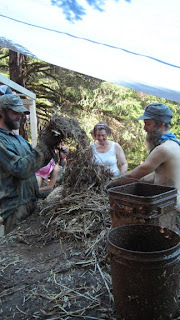 making slip from the nearby pond's pure clay, what a resource! 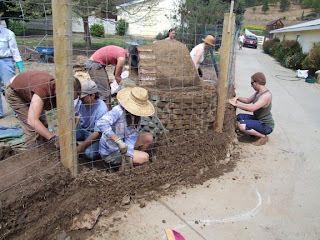 the forms leap-frog up and before you know it, we've got solid walls! 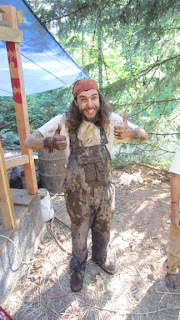 uh-oh, no workshop complete with out a mud fight! 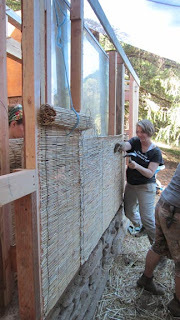 one week and a dozen hard workers... and we've got some naturally insulated walls! 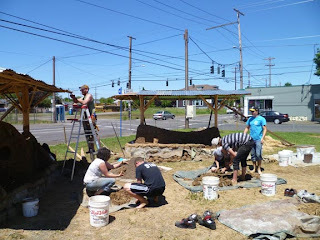 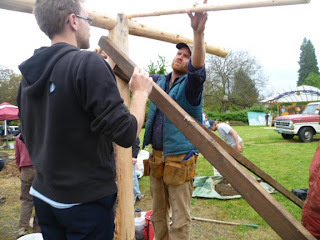 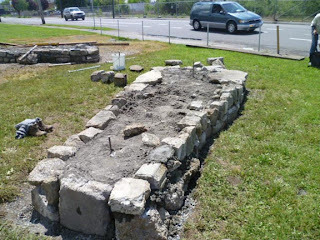 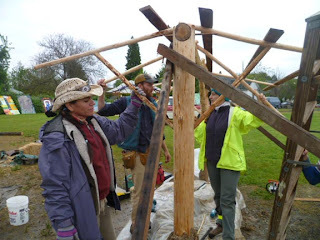 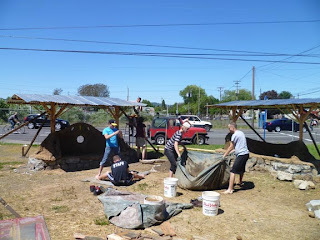 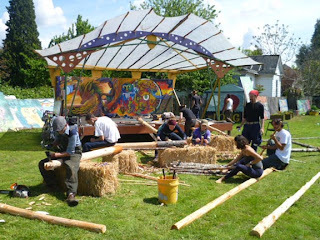 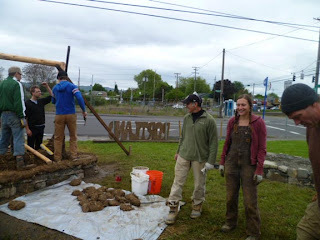 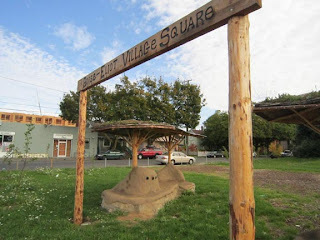 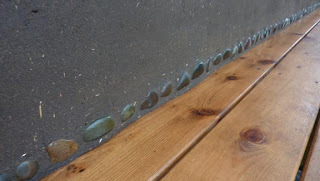 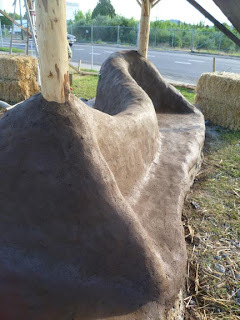 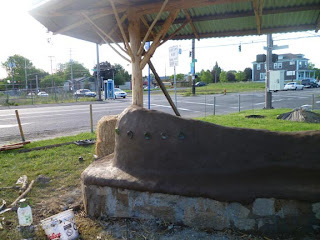 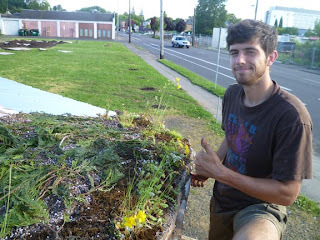 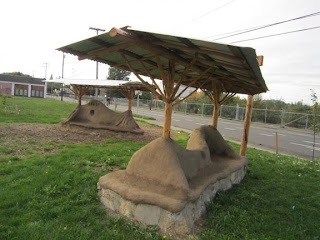 This year at the Village Building Convergence, Portland's premier natural building and place-making event, I have teamed up with Mark Lombard to create a couple of cob benches for the future Boise-Elliot Marketplace at Fremont and Williams, in NE Portland. 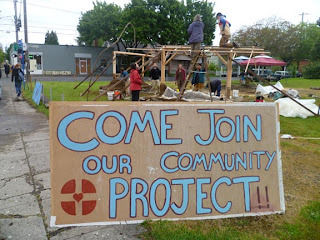 dozens of people, from all walks of life get involved! 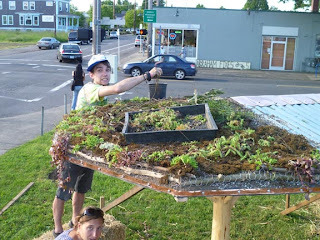 living roofs planted as well! 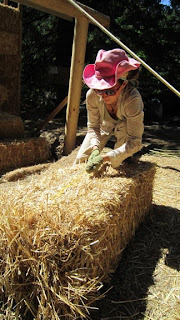 Welcome to Clary Rose Farm! 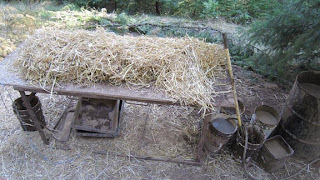 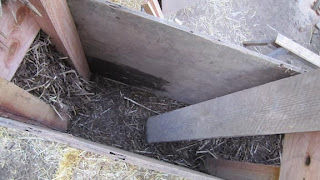 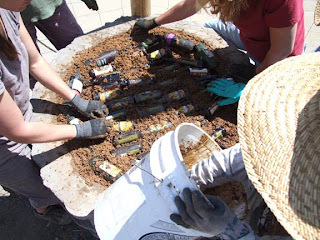 Laying the insulative layer, old bottles make great air pockets in a bed a slip-coated sawdust. 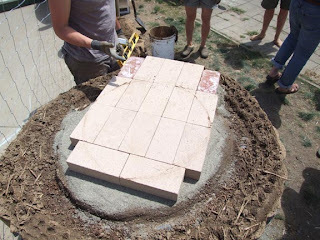 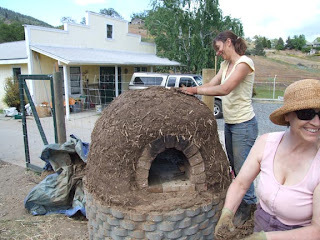 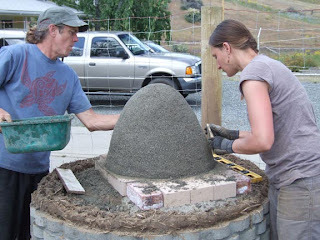 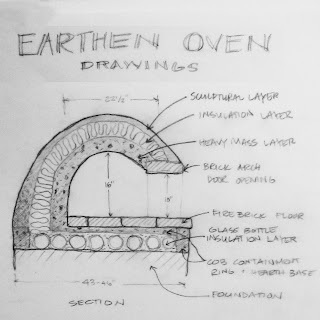 Carrie is going to do decorative earth plaster once the oven is dry. 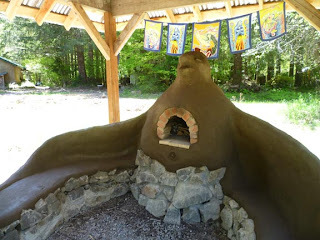 We enjoy pizza the first night! 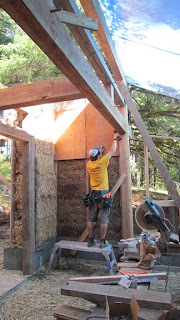 This project is one of the most refined natural buildings I have had the opportunity to work on. 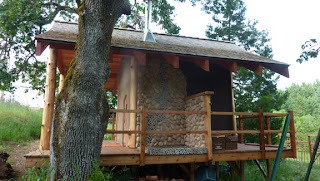 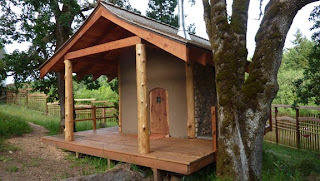 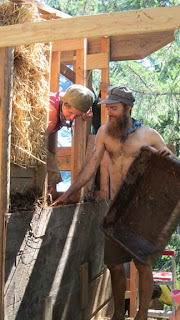 It's a 10'x10' wood-fired sauna with chip-slip insulated walls and site soil earthen plasters. 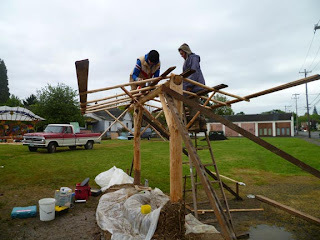 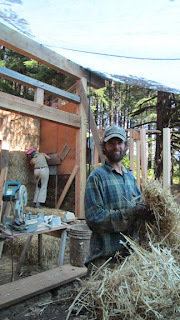 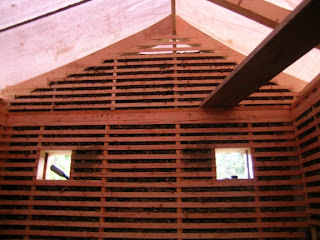 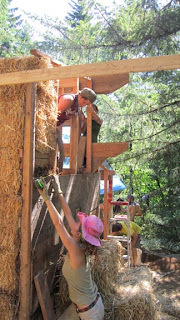 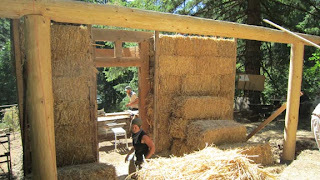 The small building is framed with a quartered cedar log for the corner posts and stick-frame Larsen trusses in between. 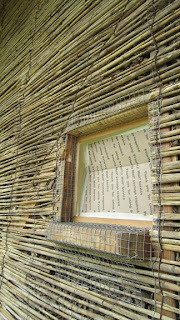 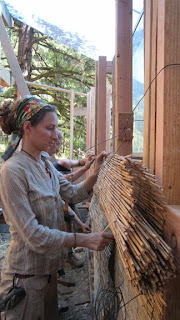 Then we create the integral forms for the chip-slip with large reed matting. 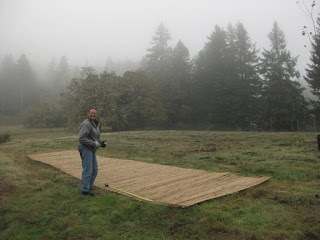 We unroll the mats and secure them with staples as the walls get filled. 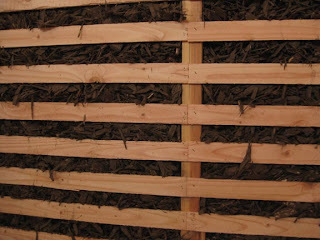 These reeds mats will also work great as the plaster substrate. 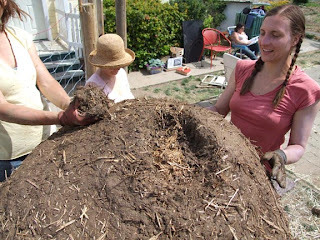 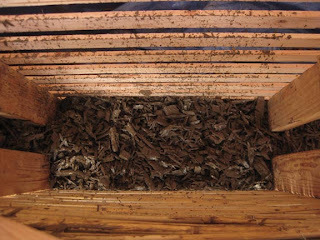 The infill mix is half a bucket of site soil slip per two buckets of bark-free wood chips. 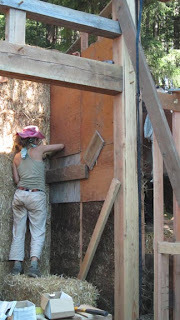 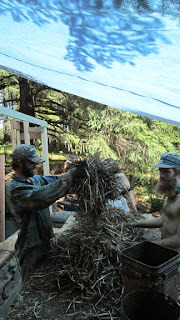 I like to mix them on tarps and carry the tarps directly over to the wall cavities. 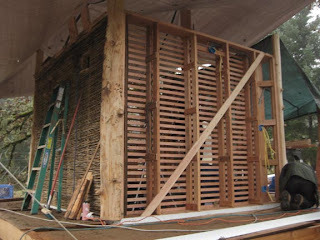 We wait several months for the wall to dry and then it's time to plaster! 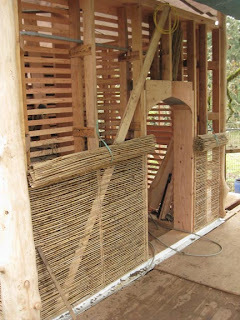 I add metal lathe and substrate details where ever its needed. 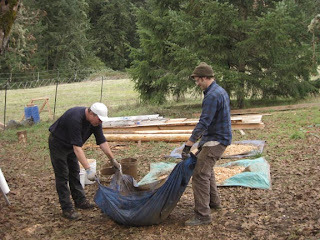 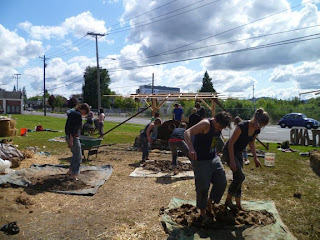 The mix is screened site soil, mason's sand and chopped straw. 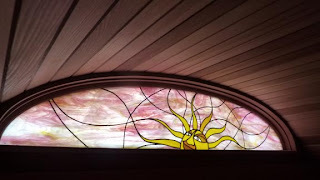 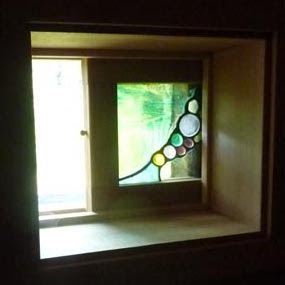 I also did several stained glass windows, including little sliders for ventilation. 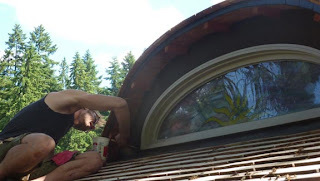 and a six foot wide arched-top dormer window! 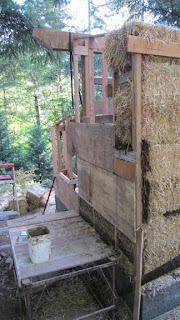 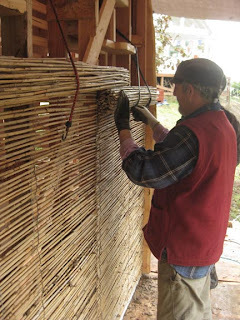 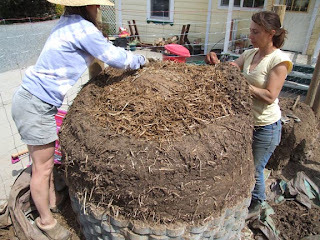 The finish coat of plaster is the same as the base coat except that the soil and straw has been screened to a finer level. 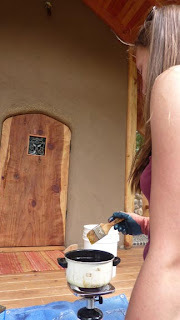 We also add five coats of linseed oil. 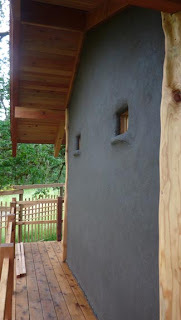 This darkens the color and protects the plaster from the elements. 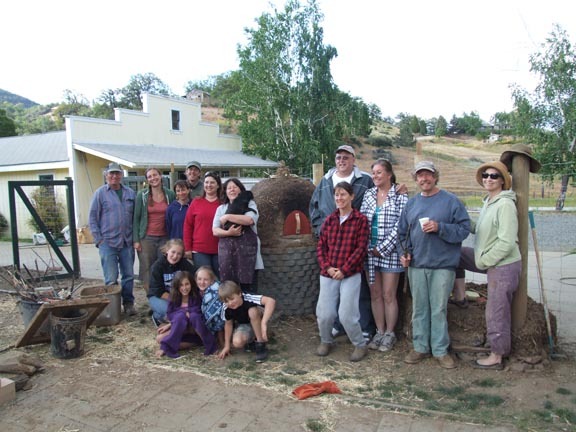 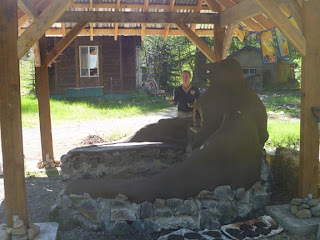 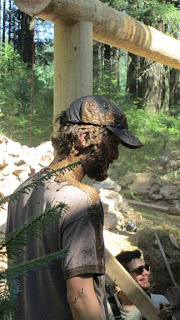 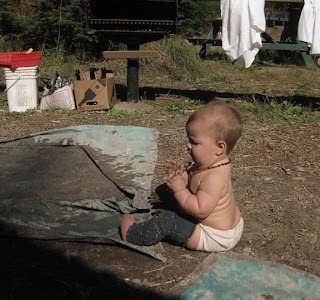 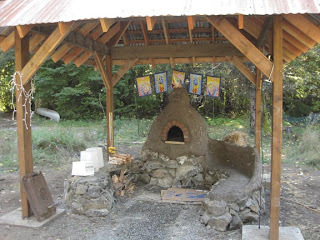 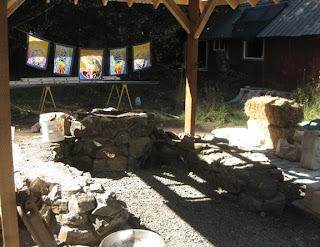 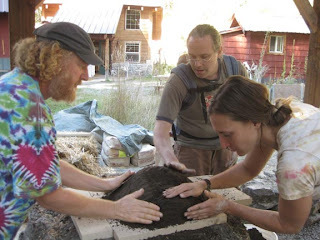 Welcome to the community of Breitenbush Hotsprings! 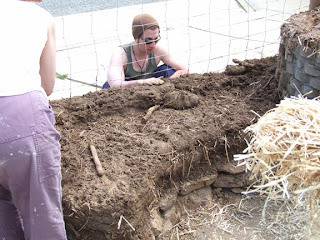 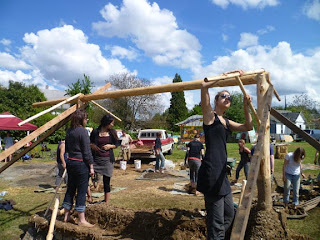 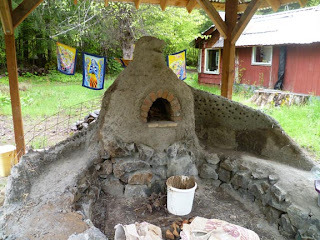 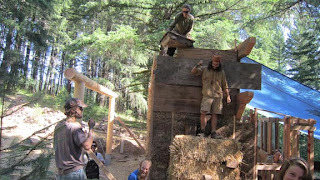 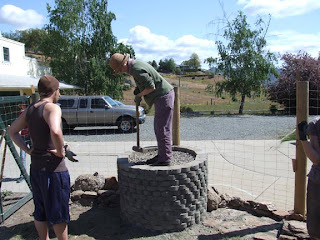 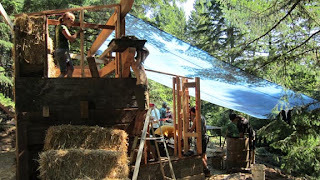 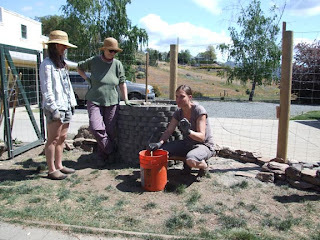 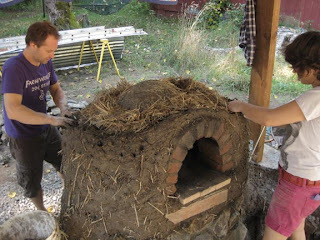 I'm here leading the construction of an earthen oven with attached benches. 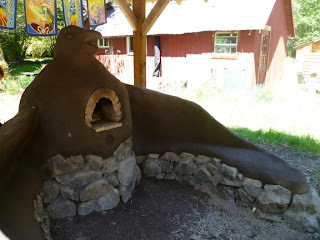 We decided to shape the oven as a raven, which has a lot of meaning for many of the members of this community. 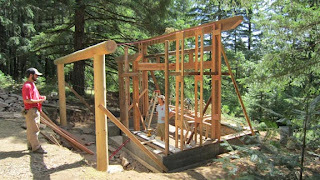 Patrick has built a beautiful roof structure and stone foundation for the project. 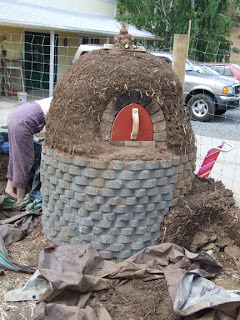 The first workshop is focused on building the oven. 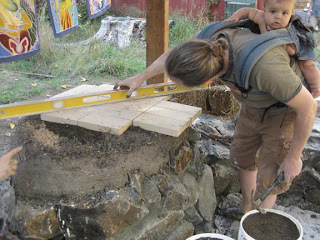 It's classic cob--all ages get involved! 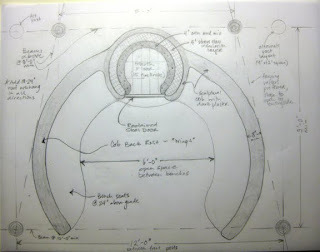 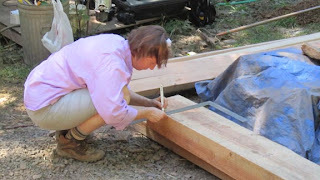 At the next workshop, we build the wings and benches. 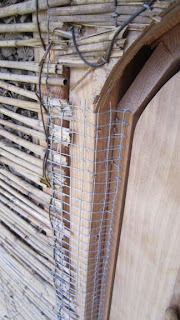 The wings have an internal structure formed with wire fencing. 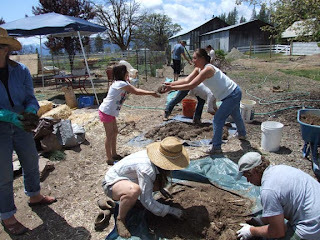 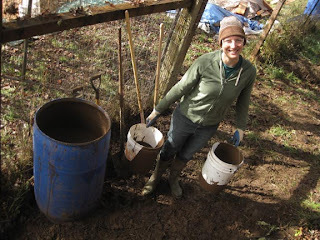 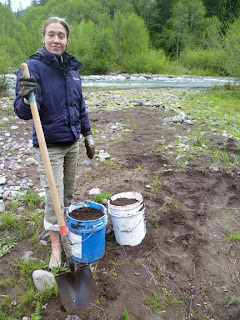 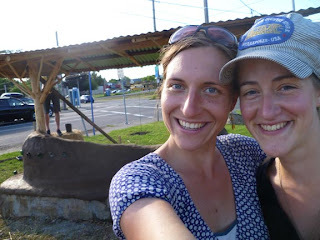 Here Sara, the lead organizer of this project, is harvesting sand from the creek... 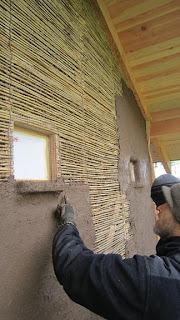 This will work great for our plasters too. 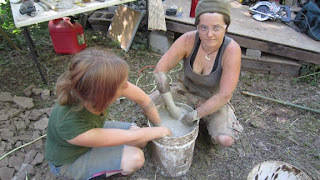 The next workshop will be focused on painting the raven with an aliz, or clay paint. 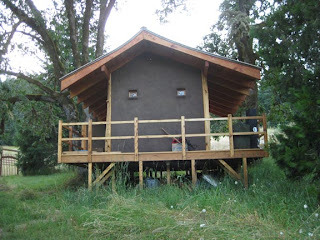 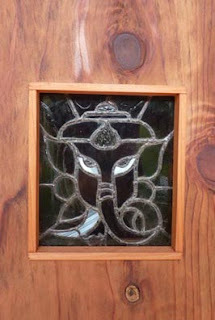 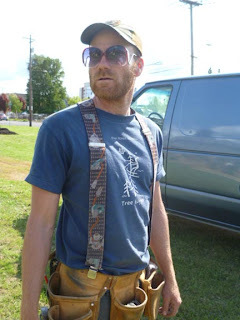 We are planning to do a design with Pacific Northwest Native American motifs. 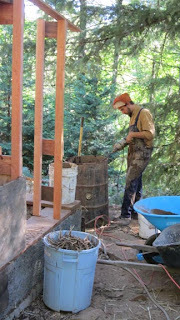 I'll post the workshop when the date gets set. 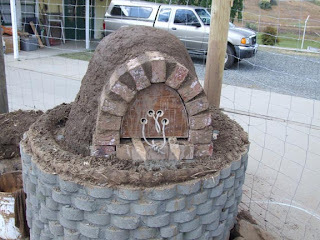 Until then, enjoy the pizza!